Arthur Morgan and the Van der Linde gang are forced to flee the western town of Blackwater in Red Dead Redemption 2’s launch trailer. Red Dead Redemption 2, an epic tale of life in America at the dawn of the modern age, arrives for PlayStation 4 on October 26. Watch the new Launch Trailer, and pre-order now to get the War Horse and Outlaw Survival Kit, or select the Special Edition or Ultimate Edition to receive additional bonuses and exclusive content. And tonight at midnight, pre-loading for digital pre-orders on the PlayStation Store will be unlocked. All digital pre-orders also receive bonus GTA$ for GTA Online. Don’t forget, both Red Dead Redemption 2 and Red Dead Online will come with exciting benefits for PS4 players at launch, plus much more to come in the months ahead. Really excited and did I hear the same voice for John Marston? 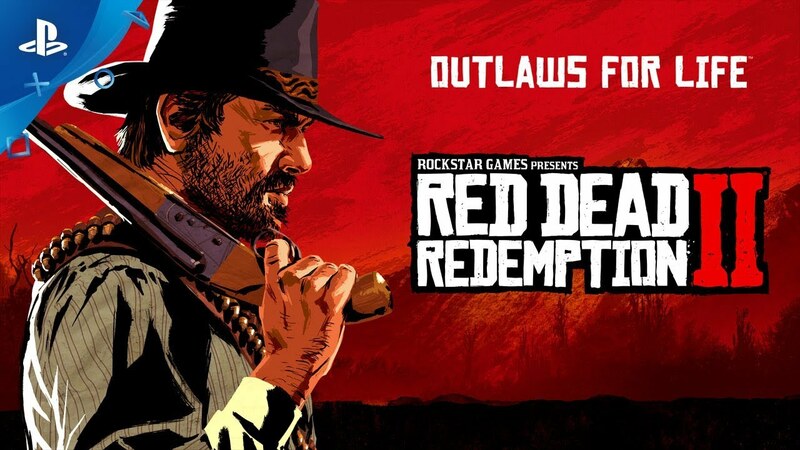 Its going to be addictive, you can tell, this game will be real tight, can’t wait to ride my horse. I will be Streaming Live opening Day on my twitch channel 270thMPCO, come check us out!!! This game will surely make Game of the Year.